This month, we are extremely proud to feature Duke as one of our outstanding volunteer spotlights. As a passionate volunteer, Duke is recognized for devoting his time to give back to his community, while sharing the experience with fellow Pace students. Duke takes it beyond service work; his passion for advocacy and social justice is shown every day on campus. As one of our Student Leaders in Service and a founding member of the Peace and Justice student organizations on campus, he is one of the many students working towards making a positive impact here at Pace. He is also a recipient of a 2018 Bronze Jefferson Award. Read on to learn about Duke and his dedication to civic engagement and social justice! Your work in civic engagement and advocacy is inspiring and motivational to many students, including myself. As a role model and leader in the Pace community, my first question for you is when did it all begin? When did you find an interest in public service, volunteerism, and advocacy. Basically, what ignited the fire in you? My parents say I always have extra compassion for others, although I think this statement is still subject for debate. 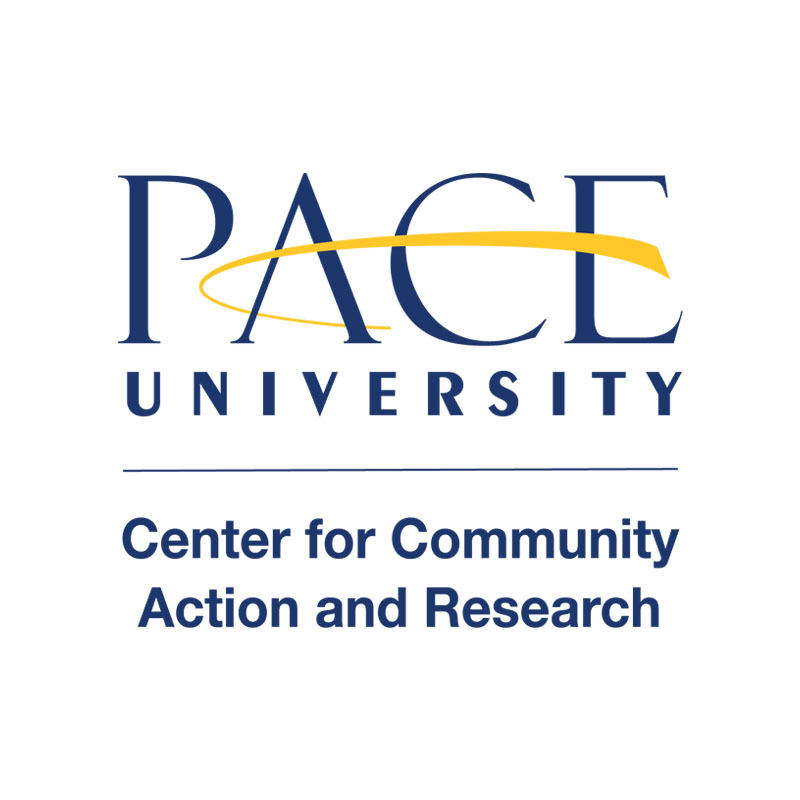 Joke aside, the first time I had a chance to be exposed to activism and civic engagement was when I joined a student organization called Generation Citizen in my first semester here at Pace. 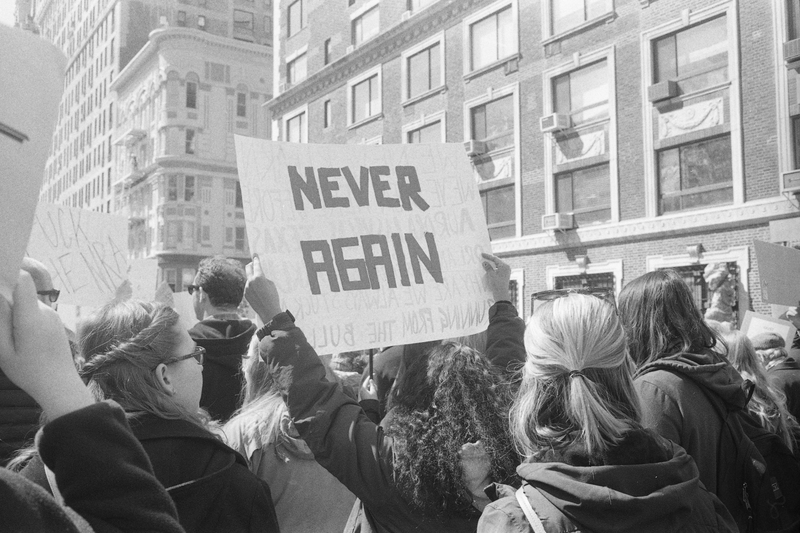 The organization itself is very much about those two things, and the people involved in it also share a similar passion when it comes to advocating for social justice. It was through Generation Citizen that I got to know about the Center for Community Action and Research (CCAR). I was amazed that CCAR was giving back to the community, and I was simply just trying to become involved with CCAR as much as possible because I believe in their mission. I know you’re very active with us at CCAR, specifically as one of our Student Leaders in Service. Can you tell me a bit about the work with your community partner organization, Added Value? What led to your decision to work with them? How have CCAR and SLS helped you in your experience with your community partner in terms of leadership skills? 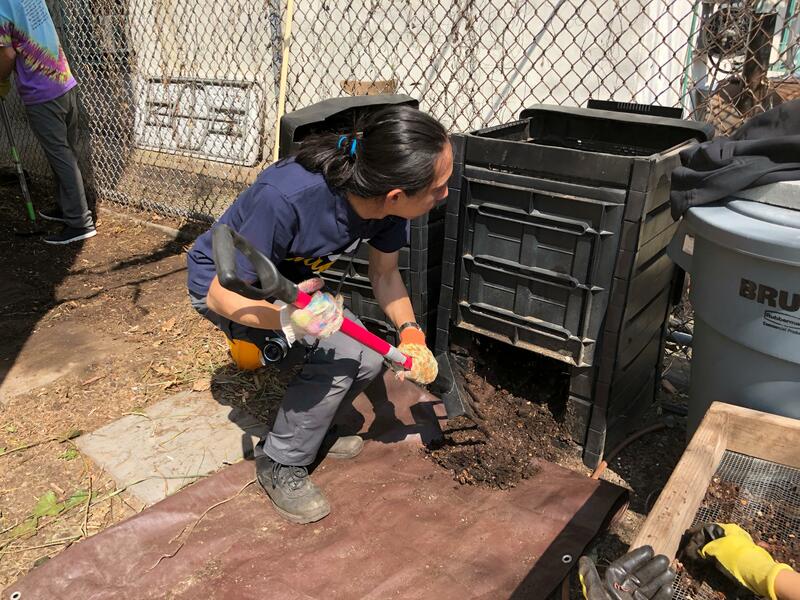 My community partner organization is the NYC Compost Project located at the Red Hook Community Farm, hosted by the Brooklyn Botanical Garden. I came across this place when I was volunteering with New York Cares about 9 months ago, and I haven’t stopped going there ever since. At the compost site, we manually process over 225 tons of food scraps each year, turning them into rich amendment for the soil. The first reason why I chose to volunteer with them is because I believe in what we are doing. More than 40% of food goes to waste in New York City, and composting is the only way to direct the food back to the cycle of life. Second, the staff and volunteers are just a pleasure to be working with, I always have an amazing time talking to them while volunteering. My leadership skills have improved over the course of being a SLS by bringing volunteers to the compost site, coordinating with CCAR and the site, and leading a group of volunteers there. I want to give special thanks to David Buckel, the supervisor of the compost site, who dedicated his life to LBGTQA rights and environmental protection. He made my experience at the compost site extraordinary. You’ve been honored for your efforts in public service through the nationally recognized Jefferson Awards Foundation. How did it feel to be publicly recognized at Pace? Has this motivated you to continue your work with your community? I am deeply honored to accept the award. However, I cannot say that it motivates to continue the work, because I would continue to work with or without the award. Apart from your work in public service, what are some of your other passions? How do you make time for your personal projects? My passion for photography started about the same time as my passion for peace and justice. I have been working on a few projects, and right now I am photographing at the compost site. I am preparing and training myself to be a professional photographer. I am interning at a photographer’s studio, and I am also currently the photo editor for the school newspaper, the Pace Press, and I try to go as many galleries and exhibitions as possible to get to know more photographers. My time is basically dedicated to these two passions, and I barely sleep or socialize with people. This isn’t really healthy, but it works for me. I think people need to find what works for them, and know what needs to be sacrificed in order to achieve their goals. You’re an advocate for many social issues, on campus and beyond. Tell me a bit about some projects you are currently working on that you are passionate about. What is next for you in terms of civic engagement and advocacy both short and long term? Do you think that volunteerism and advocacy go hand in hand? I am currently a member of the Peace and Justice Club on campus. We have made the school provide free menstrual products on campus in the restrooms. We want the school to be providing in every restroom, including men’s and gender neutral restrooms, which they have not yet implemented completely, so we will need to work on that until they do. As for my personal ones, I am working on photographing the compost site. I want to show people that we are trying to save the planet, and that they can come and help. I think l will focus my both passions on environmental issues in the long term, since it is undoubtedly one of the most pressing issues we are facing right now. And I believe that volunteering and advocacy are inseparable; if you set your mind to volunteer for one issue, then you are advocating for it. What would your advice be to someone who is new at volunteerism and civic engagement, and wants to take it beyond just lending a helping hand, to become further involved with an organization or movement? The most simplest yet the hardest step is making the first move. And you can only get used to it by doing it constantly. It can be intimidating to go to a new place and meet new people, but don’t let it discourage you from doing it. Because you never know what experience you can get, and what kind of people you will meet. Especially if you are volunteering or advocating for the issue you care about, you are very likely to meet people who have the same passion as you do. As for getting more involved with the organization, volunteer with the organization consistently, and talk to the staff; they are more likely to involve you if they know and trust you. In short, nothing will change until you act. “Act” is in the word activist for a reason. Learn more about volunteering with Duke at the NYC Compost Project: send us an email at CCARNY@PACE.EDU!